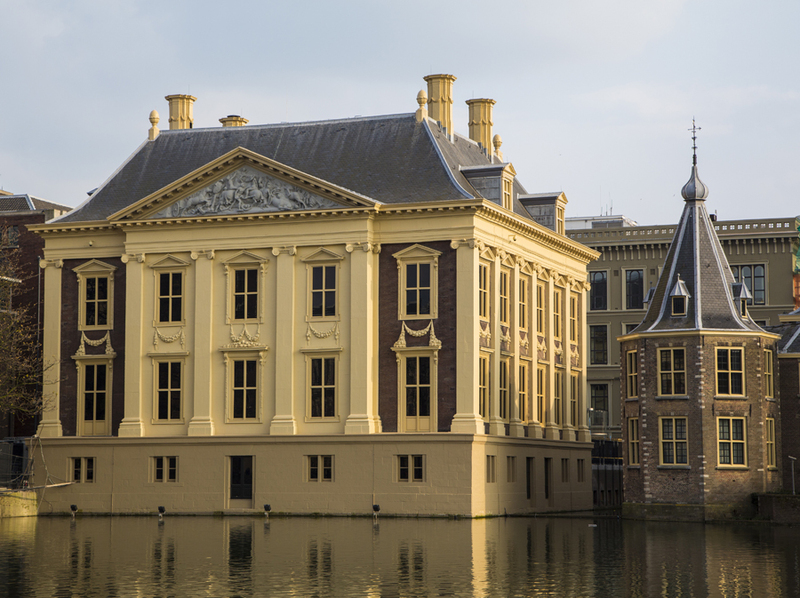 The Mauritshuis aims to present its collection as well as possible. 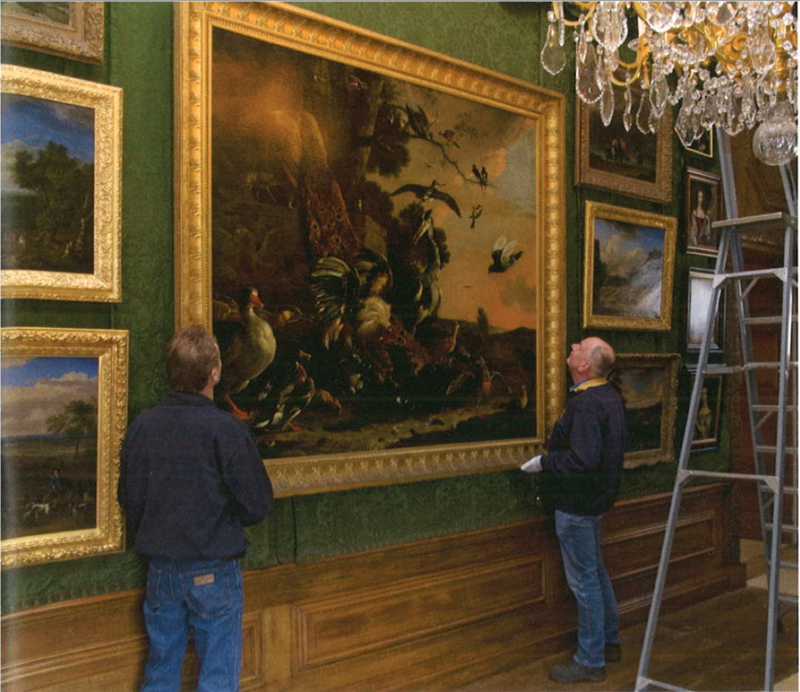 This means conserving and restoring the paintings, as well as paying attention to the frames. A suitable frame can enhance an artwork, whereas a badly chosen one can detract from it. Nowadays there is renewed interest in the history of the frames in our collection. Few visitors to the Mauritshuis probably realize that only a dozen or so paintings in the collection are still in their original frames. At one time or another nearly all the Old Masters were given new frames that better suited the prevailing taste. 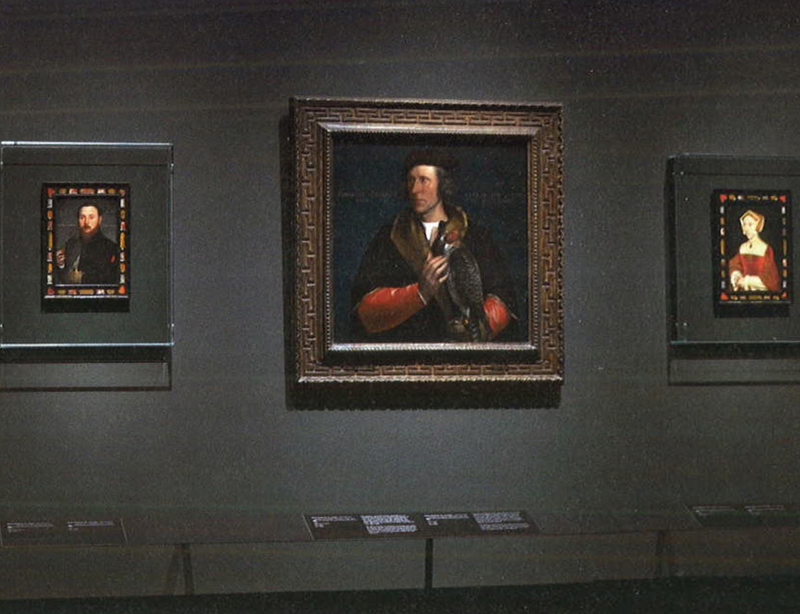 Notable exceptions are the three seventeenth-century Dutch portraits in their original trophy frames, which will be described in a later article. The history of the picture frames in the Mauritshuis is closely connected to the history of the collection, the core of which was formed by two princes of Orange: Willem IV (1711-1751) and his son, Willem V (1748-1806). The latter put the collection on public display in 1774, when he had two hundred paintings housed in the ‘Galerij’ on the Buitenhof. This gallery of paintings was open to the public at set times, thus becoming the first public art collection in Holland. More than twenty years later, in 1795, the French troops which had invaded the Republic ransacked the gallery and took the collection to the Louvre. After the French occupation, most of the paintings were brought back to The Hague in 1815, having become the property of the Dutch state in the meantime. The frames, however, remained in Paris. New frames had to be made for all the pictures, and these were ordered en masse from the firm of Wed. Dorens en Zoon, Hofspiegelkoopers (Purveyors of Looking Glasses and Picture Frames) in Amsterdam and delivered in February 1817; the sum of 5,000 guilders had been set aside for this purpose. The gilt frames with decorations in late Empire style were completely in keeping with the current fashion. A number of paintings still have these frames; the different models and decorations were deliberately chosen for the sake of variety. The collection was reinstalled in the Gallery in the spring of 1817, but in 1822 it was moved to the Mauritshuis, which had been bought precisely for this purpose. Eighteenth-century inventories tell us quite a bit about the frames that originally held the Stadholder’s collection of paintings. An inventory drawn up in 1793, for example, offers fairly precise descriptions: in addition to gilt frames, black ones ‘with a gilt inner edge’ were also popular. 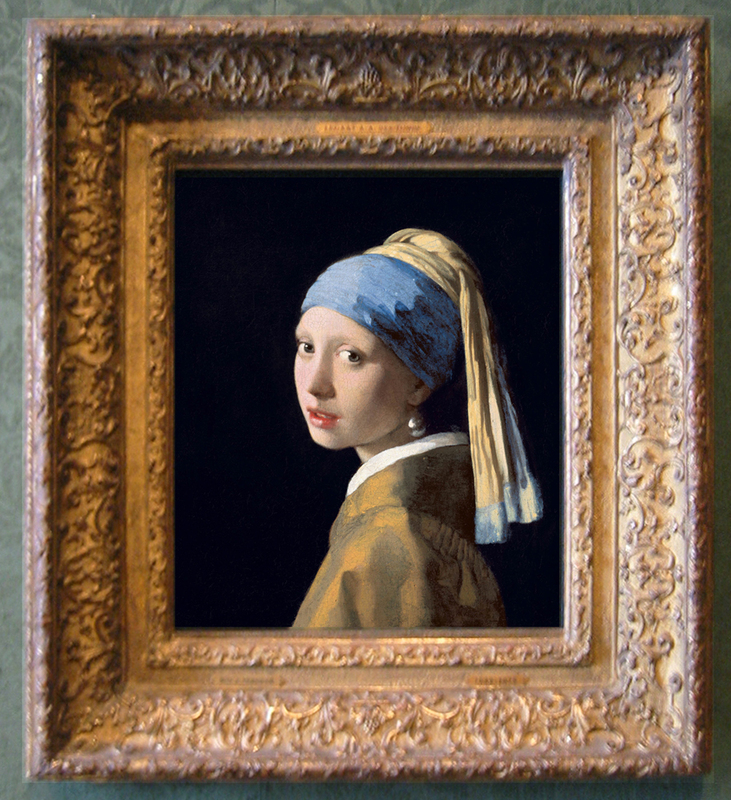 It has proven difficult to obtain information about the frames purchased from 1822 onwards, since the Mauritshuis began to publish annual reports which describe them only in 1878. For information on the intervening period we must turn to official documents in the Mauritshuis archive and the National Archives, although these sources still need to be researched further. Old photographs of the museum’s interior could also be a source, but none pre-dates 1900. There is, however, a depiction of the interior of the museum, painted by Antoon François Hejiligers (1828-97) in 1884, just a few years after the rooms in the Mauritshuis were reorganized. 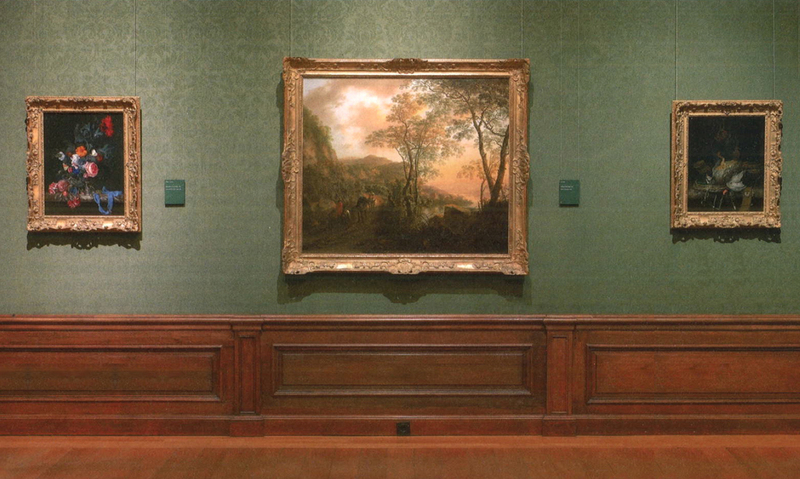 The panel shows one of the Rembrandt rooms, present-day Room 10, which usually contains the late Rembrandts. In the nineteenth century this room featured Rembrandt’s Anatomy lesson of Dr Nicolaes Tulp of 1632 in a dark moulded frame. Almost every other painting was set in a gilt frame. One striking detail is that the lower edge of several paintings overlapped the wood panelling; today this would be considered an eyesore. The talented art historian Abraham Bredius (1855-1946) was appointed director in 1889. His extensive circle of friends and contacts plus his eye for quality enabled him to add many important paintings to the collection. Bredius had the new acquisitions, as well as various pictures already in the collection, reset in nearly identical dark brown frames with a gilt, decorated inner moulding. 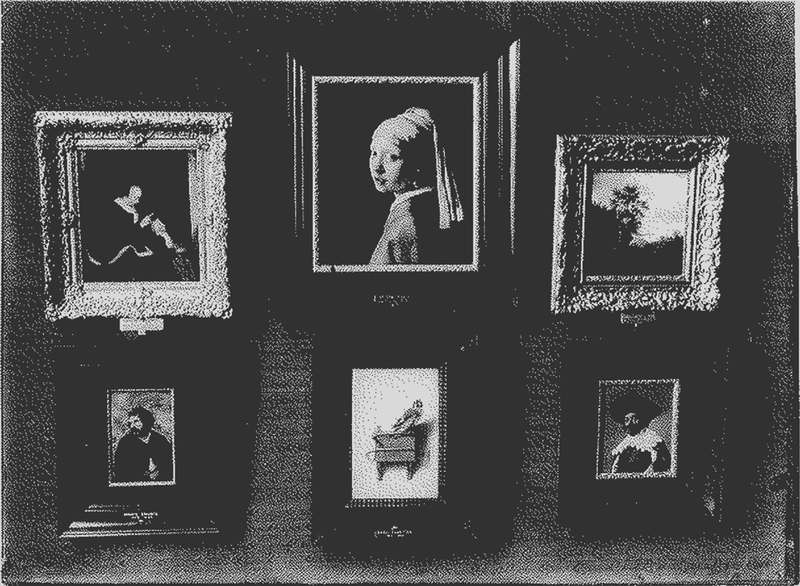 An example is Vermeer’s Girl with a pearl earring, as seen in a photograph taken after 1933. When Bredius died in 1946, it turned out that he had bequeathed twenty-five paintings from his private collection to the Mauritshuis. 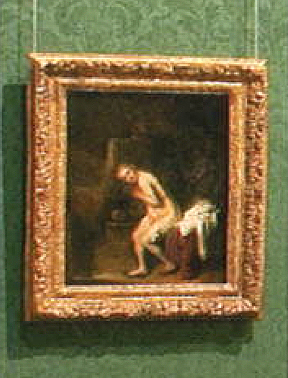 Some of these are still in their dark ‘Bredius frames’, but the highlights of his bequest – such as Rembrandt’s Homer, and Saul and David, a painting attributed to Rembrandt – had costly gilt frames. Bredius’s successor, Wilhelm Martin (1876-1954), changed the presentation policy once again, in accordance with changing tastes. From 1929 he ordered so-called composition (sometimes shortened to ‘compo’) frames for many of the seventeenth-century paintings in the collection. These machine-produced frames consisted of a ‘composition’ of glue, turpentine, chalk, asbestos, linseed oil and other ingredients. Their design goes back to French frames of the eighteenth century. The application of elaborate, scrolled ornamentation gives such frames irregular profiles, in contrast to Empire frames, whose outer edges display straight lines. The surviving correspondence shows that Martin ordered dozens of composition frames from his regular supplier, A.J. Heydenrijk Jr., in Amsterdam. Martin chose models with varying ornaments, as emerges from the quotation submitted by Heydenrijk on 29 October 1930. Bob de Vries (1905-83), who became director in 1947, also paid a great deal of attention to the collection’s presentation. 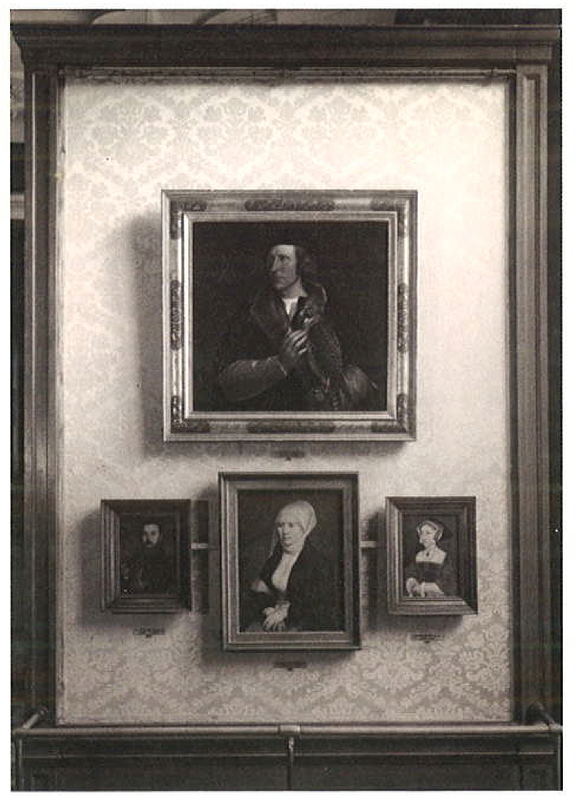 The deep Empire frames holding the sixteenth-century portraits by Holbein had been replaced by Martin in 1923, but De Vries had more suitable frames made for these paintings, and they are still in use. 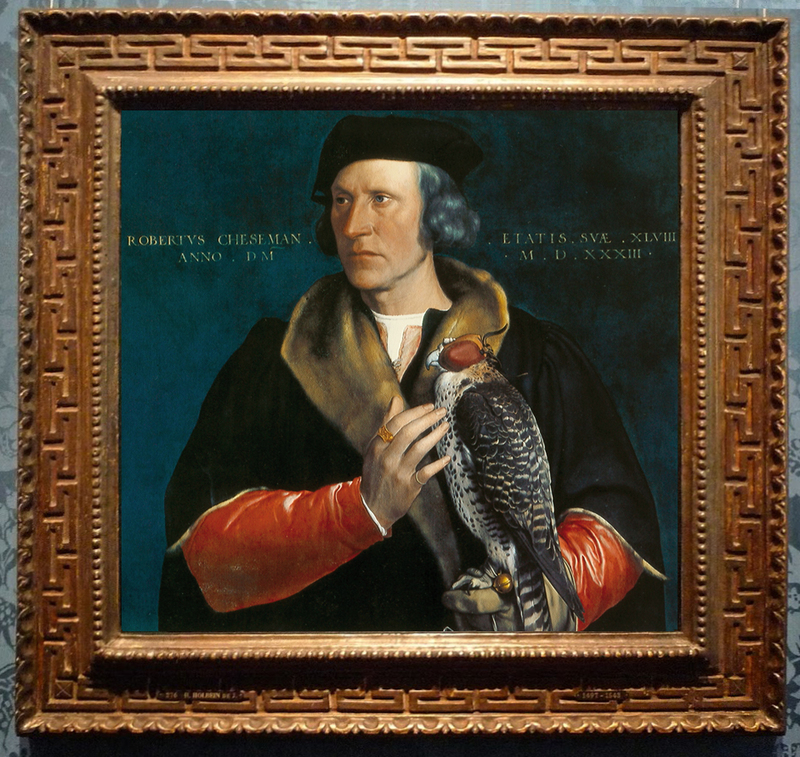 Thanks to outside financial assistance, the Mauritshuis was able to acquire a splendid Italian frame made around 1600 for Holbein’s portrait of Robert Cheseman in 1952, and purchased nineteenth-century frames for Holbein’s portrait of an unknown falconer and a studio piece, the portrait of Jane Seymour, in 1956. 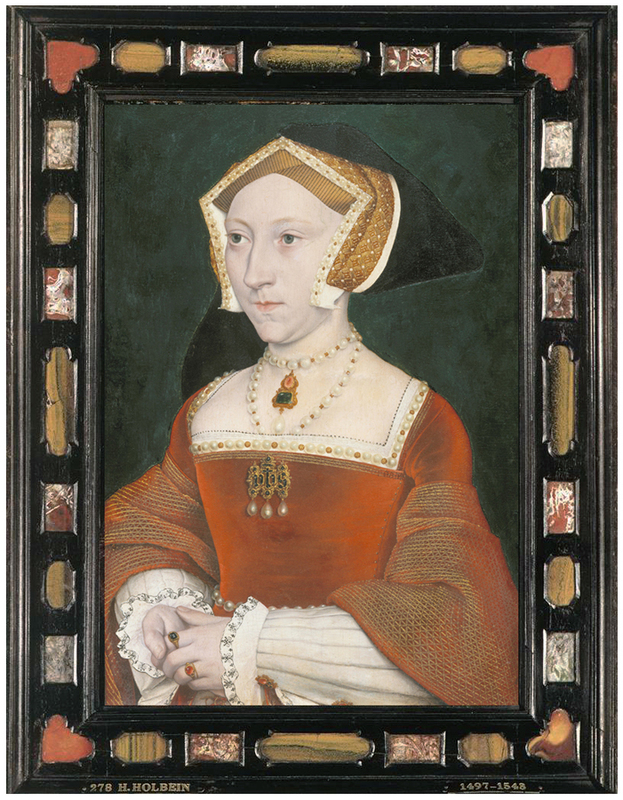 These frames in sixteenth-century style are of such high quality that they are often mistaken for originals from the time of Holbein. In the annual report of 1952, De Vries described his attempts to buy old or suitable frames, for which practically no money was available. He spoke frankly about the Empire frames, calling them tasteless, and he also disliked the modern composition frames, which in his opinion did not do justice to the Mauritshuis’s Old Masters. In recent decades successive directors have replaced a large number of frames with more suitable ones. 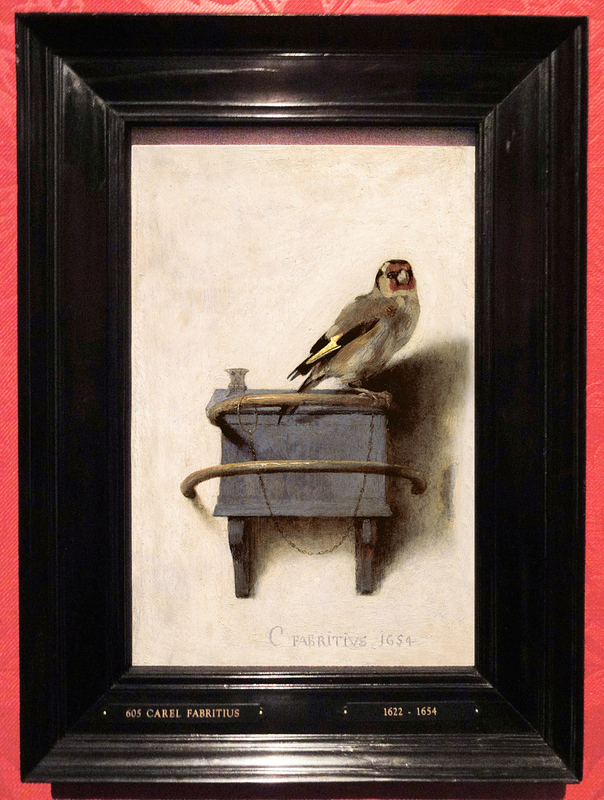 Antique picture frames have been acquired for The goldfinch by Carel Fabritius, Jan Davitsz de Heem’s Flower still life, and Rembrandt’s Portrait of an old man. The museum still pays close attention to the presentation of the collection. 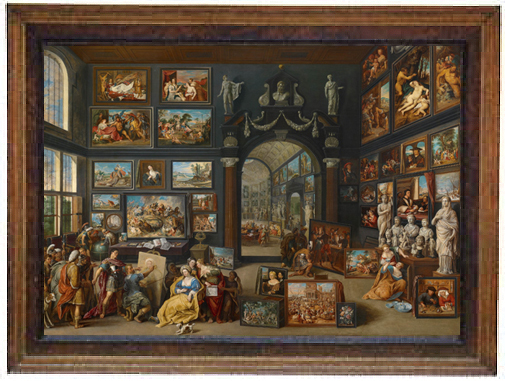 Suitable antique frames are not always available, so the Mauritshuis often orders copies, whose profiles and decorations derive from sixteenth- or seventeenth- century frames. An indispensable reference work in this respect is the 1984 publication compiled by P. van Thiel and C. de Bruyn Kops, Prijst de lijst: De Hollandse schilderijlijst in de zeventiende eeuw (a revised edition appeared in English in 1995, under the title, Framing in the Golden Age: picture and frame in 17th-century Holland). Paintings are usually reframed after a purchase, bequest or restoration. 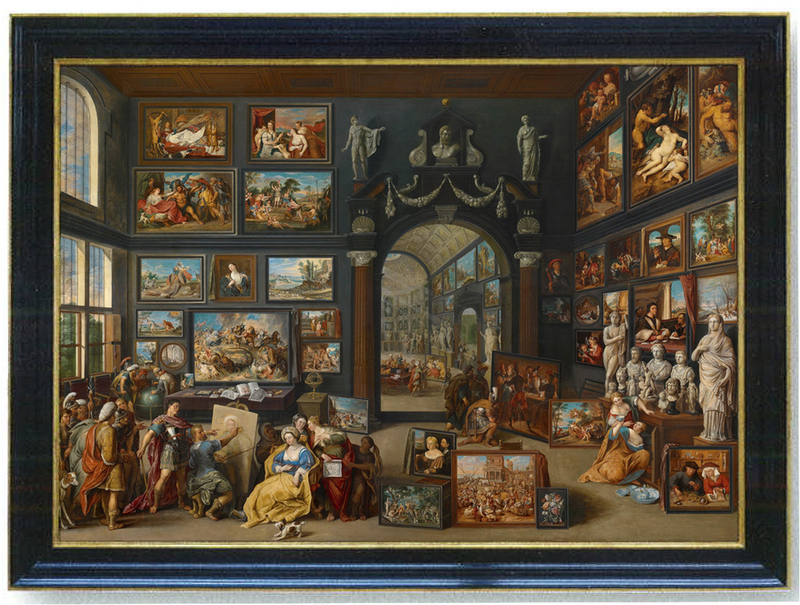 An important exhibition, at the Mauritshuis or elsewhere, can also be a reason to replace a frame, as happened recently with a small painting by Jan Gossaert. After a loan request from the Metropolitan Museum of Art in New York, the painting was restored and provided with a new frame, which was inspired by an authentic one for another painting by Gossaert. 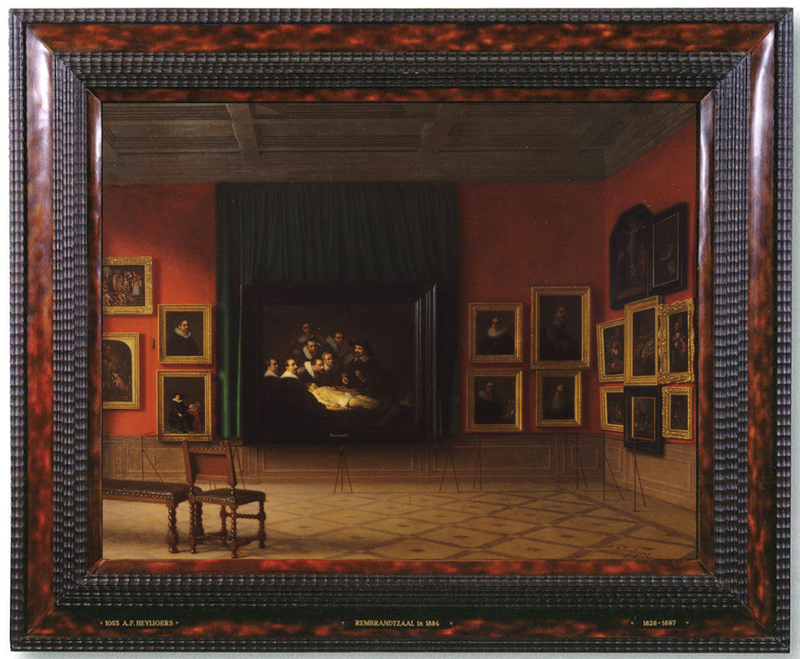 Willem van Haecht’s Apelles painting Campaspe was given a new frame which significantly enhances its appearance, with a view to its inclusion in the 2009-10 exhibition Room for art in 17th century Antwerp. This long-cherished wish could be fulfilled thanks to support from the Johan Maurits Comapgnie Foundation. The new frame with a gilt inner edge is based on one of the 17th century frames depicted in the painting. Apelles painting Campaspe had such a frame in the time of Stadholder Willem V.
Thanks to support from the American Friends of the Mauritshuis, a new frame was ordered for Rembrandt’s Susanna of 1636. The old frame, produced by the firm of Heydenrijk, left non-autograph passages visible on the rectangular panel, whereas the new black frame shows the painting with rounded upper edges, just as Rembrandt had intended. This new frame is a big improvement, lending the scene more intimacy and thus heightening its power of expression. This particular example underscores how important it is to get the frame just right. With grateful thanks to Quentin Buvelot for his article, to Anne Lenders, Assistant Curator of the Mauritshuis Collections Department, for permission to republish it, and to Gini Kingma for orchestrating the process.